Audio for games: It’s what we do. It’s what we breathe day in and day out here at Somatone. If you’re a producer and want your game to be engaging, creative, cohesive, competitive on the market and most importantly, FUN! for your user’s experience, then factoring in great audio is an important component of your production. From our experience, great audio not only begins with its inception, but also continues through to its final implementation, which is the most important part of game audio production. Figuring out what will be the best tech to meet your audio needs can be a confusing and time-consuming task. From our experience, even some of the biggest names in development don’t have the bandwidth to invest in properly researching tools or implementing proprietary ones that best fit their needs. However, we can help demystify the tools and present all the options that we’re aware of. Tools developed by third parties i.e., Audio Middleware, have been developed to help game designers create rich cutting-edge audio experiences that match the rest of the disciplines being implemented into their games. In a rapidly evolving field, there are now multiple options for Audio Middleware tools, which this article will cover–highlighting features, cost, and programming to help game makers make the smartest decision possible when it comes to deciding on a tool to help create the best audio experience for your game. Wwise is one of our favorite tools to use, and we’ve had several opportunities to push mobile and PC game audio further with this Swiss Army Knife of an audio tool. We particularly like the fast and easy project setup, excellent level of detail that we, as the designers, can have over the final mix, and the control of the overall audio footprint. There has not been a creative or technical situation that Wwise could not handle with ease. The latest incarnation of FMOD is Studio, which introduces many cool new features to creative integration. This tool was designed to mirror what audio professionals use every day to create the content, allowing for a more intuitive palette for designing how sounds will play in game, as opposed to typical interfaces cluttered with sliders and values, FMOD creates a timeline for each event, providing an excellent visual for tools such as automation and sound layering, while also allowing nearly every control to be quickly assigned to a modulator or game parameter. Studio includes all of the best (and most important) functionality to support an excellent audio experience, within an elegantly simple event-based system. The all new integrated profiler which captures game events and audio output, and lets the user scrub through the game audio as it played, allowing debugging of mixing and performance issues. Source control/multi-user collaboration – with Perforce support supplied out of the box. Cost-efficient, includes popular features such as ‘voice limiting’, easy to hook up and intuitive to use. Master Audio is a popular choice among our clients. This Unity-based plug-in gives you all the basics needed to achieve a good sounding game. Pricing – $45 in Unity asset store. Many advanced features for categories such as voice limits and time-limited retriggering. As stated above, Fabric is a quick and easily integrated addition to the existing Unity tools that massively enhances the audio functionality including many of the most essential functions such as randomization, switches, and runtime parameters for a greater interactive experience. Many of the core functions we need most for great game audio, for less than the top-tier engines. Written entirely with Unity’s scripting language doesn’t require external native plug-ins and can be used on any platform Unity supports. 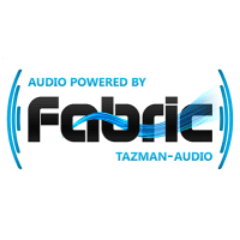 Components: Fabric components are the building blocks that allow you to create sophisticated audio designs by combining them in interesting ways. The components available are: Audio, Dialog, www, SamplePlayer, Timeline, Music, Sequence, Switch, Group, Blend, IntroLoopOutro. Runtime Parameters: The runtime parameters (RTP) provides a powerful method to link parameters from the game with component properties and map them to custom graphs, drive them from built-in game parameters or modulate them. All game audio assets are located under one hierarchy within Unity, making it easy to manage and locate. Multiple instances of the same audio behavior can be triggered from different game objects. Used by a number of big publishers and developers in games that have 100+ million downloads. Academic/Indie License – Less than $100k Production Budget – Free! This is a very light enhancement to the native audio functionality of Unity, but does add the most basic needs for a good sounding game. It also adds a greater mixing system, with an intuitive and efficient child-parent hierarchy to easily share properties across multiple sounds. Pricing – $20 in Unity asset store. Unity 5’s audio tools are very basic. All that’s changed from version 4 is a more robust DSP and mixing system. This is great for realtime real-time mixing of a game but that’s about it. A significant amount of programming is required in order to get even the basic functionality needed for today’s standards in game audio. At this point it’s our recommendation that you supplement Unity 5’s audio tools with a Middleware solution that fits your game and budget. It can be treacherous out there navigating the depths of audio implementing tools. Finding the perfect match for your project can be a time-consuming process and somewhat of a mystery. Having hands-on experience with many of these tools puts Somatone in a position to help ease that burden and identify the perfect implementing tool for your game! 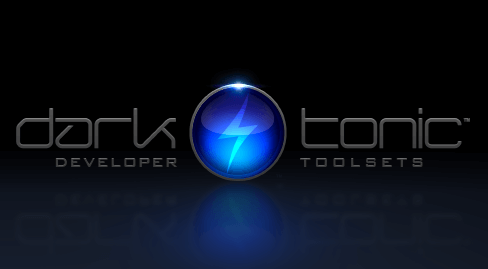 Ready to talk about these tools and their suitability for your project? 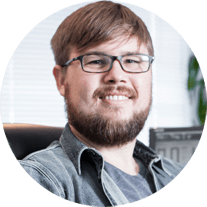 Share the post "Demystifying Audio Middleware for Mobile Games"